For the sake of convenience, the Mobile Wallet is like a back pocket for your smartphone. 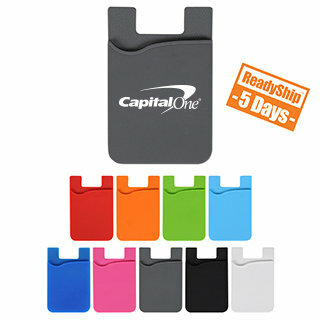 It holds up to four cards and is great for traveling without the hassle of constantly pulling out your wallet. With nine vibrant colors and a 1.5" diameter imprint area, the Mobile Wallet can be customized to fit the look of your brand. Product Dimensions: 3.5" x 2.25"